Let me tell you about the Central Highlands and how the Hoi An Easyriders Tour around this region finally made me love Vietnam. Vietnam is a country of motorbikes. A population of nearly 90 million people ride 38 million motorbikes and everywhere you can find tours on street corners offering you guided or solo rides. I was missing my own motorbike and the feeling of freedom that you get on two wheels so I approached the Hoi An Easyriders Tour for some information. That was where I went wrong, because after chatting to Mr Nam Nguyen I was hooked and I simply had to sign up. Despite missing my own bike I opted to ride pillion – that way I would be free to snap off photos on the move and I could totally concentrate on the scenery – as well as having a running commentary about the places that we passed. I am pleased to report that I wasn’t disappointed with the tour either. And thanks to that journey and Nam’s insight into the country, Vietnam was finally beginning to grown on me. At 8.30 in the morning I was met at my hostel by Nam on his maroon and black Honda Chapter (custom) 250 motorbike. His possessions were already stowed in the panniers and after my bag was sealed in heavy duty plastic and lashed down on the back rack I hopped on behind him and we set off. We passed rice fields being ploughed by buffalo and the village women squatting over cooking fires outside their wooden homes. Fields of morning glory (a type of spinach) and of course rice were everywhere as the town gave way to the countryside. The enterprising villagers had even dug up the grass verges in front of their houses along the roadside to plant vegetables and peanuts. Cranes lazily took flight, launching themselves heavily from the land with long legs trailing and groups of school children shouted and waved as we passed. A tiny cotton ‘mill’ in the country side which was like something out of a Dickensian film had one dainty lady running around in the cotton dust, changing bobbins and tying off broken threads. I half expected to see grimy little children crawling around on the floor collecting the lint. After our brief look around here we then rode on to our first proper stop of our day. This was My Son which is one of the most important archaeological sites in Vietnam and it didn’t disappoint either. More than 70 Hindu temples and tombs are dotted around this large site. 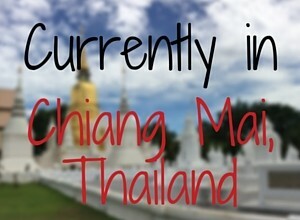 They were constructed for the kings of Champa between the 4th and the `14th century. They were already falling into disrepair but during just one week of the American/Vietnamese war the majority were carpet bombed. Now giant blocks lie all over the place like scattered jigsaw pieces among the overgrown bomb craters. I bumped into a guy from Argentina who was on his own motorbike tour and together we wandered around the site and eavesdropped on a tour guide from a large group of tourists. There is still an awful lot of mystery surrounding the whys and wherefores of this site, but with the saplings and brambles creeping right up to each dilapidated building there was a sense of nature trying to reclaim its own. After visiting My Son Nam and I continued along dusty lanes to the wide, slow flowing river and the ferry. This was not much more than a punt with an engine that precariously putt-putted across the river – although it had an ingenious loading system. The motorbikes are driven on sideways as the ferry slowly moves along the river bank alongside the wobbly wooden jetty and then this procedure is reversed when you reach the other side which the boat going backwards. The riders have to be quick not to miss the jetty when it is their turn to ride off. We stopped for lunch in a roadside restaurant which was run by people from one of the 54 ethnic groups in Vietnam. The restaurant was extremely primitive. The ladies cooked in blackened pots over charcoal and wood-burning open fires and they prepared the food on the floor. The toilet was nothing but a hole in a shed where chickens crowded around below waiting for lunch, but despite the basic surroundings the food was delicious. We were riding west from Hoi An and going deep into the Central Highlands where there was little traffic and even less tourists. This was the Vietnam that I wanted to see. I had wanted to jump off the organised backpackers’ route and find out what the Vietnamese people were really like and this adventure with the Hoi An Easyriders Tour was ticking all the boxes. We travelled deep in the mountains close to the border with Laos, criss-crossing the iconic Ho Chi Minh Trail where Nam stopped often to explain the history of many of the places that we passed through; such as Rockpile which was an observation post for the Americans during the war. It was hard to believe as we rested high above a river-filled valley that the site had been a major battle site during the war because it is all so tranquil now, although the signs were there once you knew where to look. In order to prevent goods and arms being transported along the Ho Chi Minh Trail the US sprayed Agent Orange from helicopters and they bombed the region with napalm. Agent Orange is a defoliant herbicide which causes leaves and trees to die back quickly and napalm is a chemical mix which makes things burn longer and hotter. The Americans wanted the tree cover in the jungles to be gone and quickly so that they could target the Vietnamese troops moving and living beneath, no matter that innocent people were suffering from horrific burns and are still now getting cancers and birth defects. The mountains in the Central Highlands just go on and on, marching right across the landscape to the horizon which just brings home to you the scale of the devastation. People have claimed the land back and they plant small trees to feed the paper mills, pineapple plants line along the hillsides and farmers scratch out a living on their terraces; however the worry is that the dangerous chemicals are still in the land and are still causing many problems. After a day on the road Nam stopped at a little workshop to get the tension on the bike chain checked and then we checked into our first hotel in the small mountain town of Kham Duc. For somebody who usually stays in hostels this was quite luxurious and my room actually had a bathtub. We ate dinner in the hotel and we met with other people who were touring the region on motorbikes. After dinner there was much excitement among the guides as it turned out that earlier that day one of the hotel staff had caught a weasel and a porcupine which were both trussed up on the bottom of a trolley in the kitchen, waiting for their fate. Weasel balls allegedly give you strength and power and the guides were deciding how much they would pay for this delicacy. After we had trooped through to the kitchen to see the poor animals (no health and safety rules here), Noel and Fergie from Ireland, Alex from Germany, me and our guides all sat around a large table drinking beer and we swapped stories from our day. Out on the open road in the Central Highlands. The next day we woke to a damp drizzle and the mountaintops were hidden by low grey clouds but at least it was warm. Nam checked the bike over and then he burnt his customary incense stick (which he stuck in the headlight casing) for protection on the road, we dressed in waterproof trousers and capes and we set off on our second full day of adventure. As a bike rider (I own a Suzuki Bandit 650) I have to admit to being a little apprehensive about riding as pillion. I am usually the one in control but I have to say that Nam was brilliant. From the off, I felt totally safe and confident behind him. He handled the bike, even on the poor road surfaces far more confidently than I ever could on horrible loose gravel and although we rode fast (WHOOP WHOOP!) he rode defensively (bikers will understand this terminology). We soared up along twisting mountain roads, we swooped down into deep valleys and we clattered across very dubious narrow wooden suspension bridges with missing slats. We growled past isolated cemeteries and memorials to the war dead and we stopped to buy fruit from villagers on the side of the road. I had a permanent grin on my face for the entire duration of the trip. Nam slowed and pulled over to allow an ambulance to pass us with its emergency lights flashing and then a hand came out of the window and numerous small bits of paper rained down on us like confetti. Nam explained that somebody had died and was in the ambulance and the papers were printed with blessings for luck and safety for our own journey. We stopped for some fruit and Nam bought four large iguanas. He loosened the elastic bands which were cutting into their legs and he handed me the carrier bag to hold on my lap, until he could get to a town and find a box which he would later strap to the petrol tank. He said that they would be pets but I suspect that they would be dinner for somebody! We were detained at a police road block where Nam had to pay some money in order for our journey to continue and we stopped to look around a communal round house where meetings are held and the villagers spend their evenings. We also stopped at one of the tiny villages to which Nam’s company donates money, food and time via the Co Tu Childrens’ Foundation. We witnessed the arrival of the man from the electricity company who handed out his bills to the kids that gathered around him and a lady graciously allowed me to peep inside her sparsely furnished home. At a small roadside cafe we were joined by a young couple who were CYCLING the length of Vietnam. They puffed up the hill and we chatted for a while and as we were talking about the rarity of long distance cyclists, blow me, a lone man also struggled up the hill from the opposite direction. He was cycling Vietnam too, but the other way around. We left the cyclists swapping notes about the routes that each other had covered and we continued to our hotel in the town of Prao. There was no bath in this one but we were again joined by other people on their own tours and as darkness fell, all the motor bikes were wheeled inside to the reception hall/dining area/bar. Our third and final day was a quieter affair. I simply wanted to absorb the beauty of the scenery and to enjoy the open road. Nam’s iguanas were now travelling in a box tied to his petrol tank and the sun had come out. We stopped for coffee (did I ever tell you that the Vietnamese coffee is truly the tastiest coffee in the world?) and I got very excited because it turned out that we were in a village of one of the ethnic tribes that I had read about who store their coffins underneath their houses. Two gentlemen were sat chatting over coffee and fondling a small python (the enormous mummy python was safely in her cage) and I walked over to talk to the men with the help of Nam who translated. The older man who was in his pyjamas and had an impressive long grey beard radiated calmness. His name was Y Cong and was one of the leaders of the Co Tu tribe. He was sad that he was recovering from an illness and that he had been unable to greet me dressed in his normal clothes – those of a tribal leader – but he showed me photographs and he played a strange one-stringed violin for us. When a man from the Co Tu people marries and sets up a home, one of his duties it to prepare for the death of himself and his family. He will carve out coffins for himself his wife and any subsequent children and these are then stored underneath the home. I saw these coffins stored on their racks. It was interesting because you could also tell how big the family was from the number of coffins. Y Cong kept his own coffin inside the entrance of his home and whereas his people had simple rustic coffins, his had beautiful carvings and the wood was far grander. And then after our final meal inside the home of another tribal member we were on the homeward leg of our journey. We looped and switch-backed down from the mountains and back down to the coast and the town of Hoi An. We had time to stop for a quick coffee and I thanked Nam again for a wonderful experience, before he hopped on his bike and roared off into the distance. It wasn’t just the motorbike ride that I loved. it was the chance to see a region of Vietnam that few tourists visit and the chance to learn so much about the history and culture of such a diverse country. I had begun to understand what made the Vietnamese people so different from the people in Laos. When I first crossed over the border after a month in the quiet of Laos I struggled. The differences between the countries, their cultures and the people seemed huge and I wasn’t too sure if I liked the mad, brash Vietnam but here in the Central Highlands I remembered that people are all different and there are reasons why a society and a culture develops as it does. As with anything in this world – and this is something that is so very relevant and topical in these troubled times – with education and taking the time to learn what makes something different we can understand and respect differences – and then we can embrace and enjoy them. So if you are going to Vietnam, I certainly do recommend you contact Nam and visit the Central Highlands. You can find out more about him and his tours here – Hoi An Easyriders Tour. And if you doing what hundreds of backpackers do each year and riding your own motorbike through Vietnam, be sure to take in some of the route along the Ho Chi Minh Trail and the Central Highlands. The one thing that I couldn’t get my head around in Vietnam was the copyright laws. It seems that anybody can open any business with any name and claim to be somebody else with no consequences. One problem for genuine traders is that once they are successful, people jump onto their bandwagon and claim to be them, so be very careful when you book or buy anything in S E Asia. You will be told point blank to your face that somebody is somebody else, so if you want a specific person or tour operator, check and check again that you are not being sold something inferior. Caveat emptor! There is a transport challenge in the Smash the Pumpkin Project. 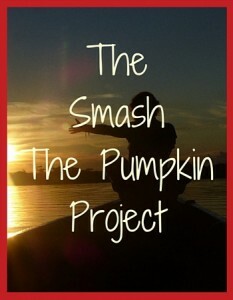 The Smash the Pumpkin Project is an online course which can help you to develop your self confidence via a series of challenges which are loosely based around the medium of travel. The most poignant part of your travels is ‘understand and respect differences’ and do or learn to embrace them. Maybe, if there is to be no National Service, there should be a cultural exchange for all adolescents, it may open up their eyes to how lucky they are and appreciate what they have. Maybe also some tolerance of other people. I loved this piece, it was very interesting and so glad you got to do your sight seeing on a bike – yay! Thank you Concha. I think that is a wonderful idea. There used to be a TV programme – The World’s Strictest Parents – and 9 times out of 10 the kids came to realise that they were lucky and to appreciate things at home. I have learnt so much since I have been travelling about what makes people tick and I never take those opportunities for granted.